The tension and excitement (in a single German word, “Spannung”) that attended the 2016 growing season for Austrian Riesling and Grüner Veltliner, as well as the resulting wines, were predictably nowhere more evidenced than in the Wachau and Kamptal. Lovers of Austrian Riesling and Grüner Veltliner are likely to discover much joy in investigating and drinking the finest 2016s. 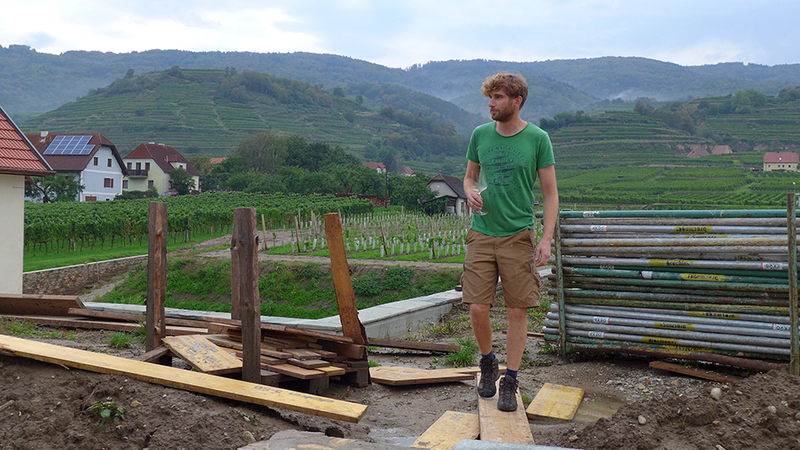 “Two thousand sixteen was different from other difficult vintages,” said Peter Malberg, laughing, “in that the entire year was catastrophic!” And where he and his winery reside—namely in the Spitzer Graben, intersecting the Danube at right angles near the extreme west of the Wachau—that isn’t hyperbole. Late-April frost decimated that sector. It also played havoc with a great many other vineyards in the Wachau and Kamptal, although top sites in the latter region escaped relatively unscathed due in large part to their elevation. The second major hardship that most growers in Lower Austria—like their counterparts nearly everywhere in northern Europe—had to surmount was the extraordinarily wet spring and early summer of 2016, with its attendant outbreak of peronospora (a.k.a. downy mildew). But in that respect too, the perspective from Malberg’s corner of the Wachau was more alarming than the view from other parts of Lower Austria. Generally speaking, the farther east one went, the lower the fungal pressure. 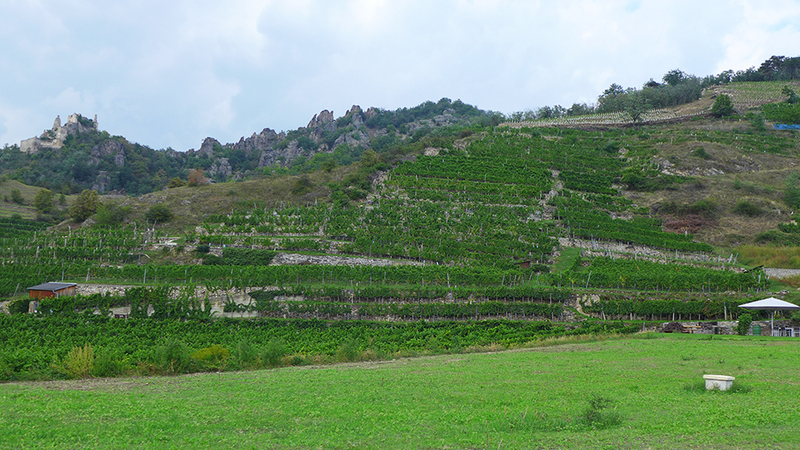 Onward and upward: Even in Dürnstein's iconic Kellerberg vineyard, uppermost terraces have often been neglected or abandoned for generations. The Tegernseerhof has just planted what will surely prove a valuable hedge against climatic warming. When compared to their counterparts in Germany or much of northern France, growers in Austria’s Riesling and Grüner Veltliner-dominated regions were on the whole significantly advantaged. Losses to frost and peronospora were only very selectively (as in the Spitzer Graben) of catastrophic proportions. Moreover, the whiplash when weather turned from wet (by mid-June of 2016 most of northern Europe had already experienced more than an average year’s worth of precipitation) to hot and dry was less extreme in Lower Austria than elsewhere. And while there was a bit of pesky October rain to deal with that skipped Riesling Germany, temperatures along the Danube in eastern Austria had by then largely dropped sufficiently to inhibit the spread of botrytis, so that Riesling, Grüner Veltliner and their growers could all benefit from the protracted picking that they love. Lucas Pichler reported having needed to weed out botrytis, and he chose to pick Riesling first due to the greater susceptibility of its skins. Still, he ended up stretching picking across nine weeks, with impressive results. Seven centuries is old even for the Kamptal, where Jurtschitsch has been a stalwart for decades. 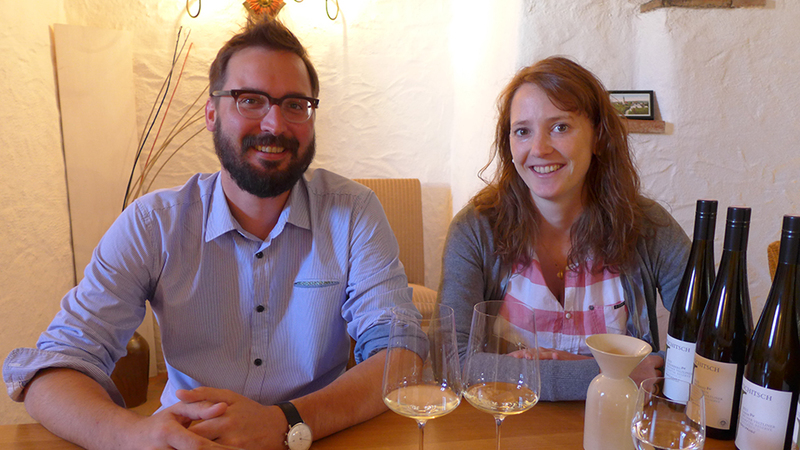 But radical transformation under Alwin and Stephanie Jurtschitsch has rushed this estate to Austria's cutting edge of vinous innovation. “What made this vintage so successful was that it turned really cool and we could wait and wait to harvest without pressure,” related Mathias Hirtzberger, and he was able to say this despite the fact that low yields due to losses from frost and peronospora meant that gambling with nature was inherently riskier than usual. “That’s a real contrast with a vintage like 2015 or like the one we are experiencing now,” observed young Hirtzberger in early September of 2017, “in which the grapes were approaching optimum potential alcohol already at the end of August.” (And that description of 2017 was to even more dramatically fit vintage 2018.) “I like the combination of concentration with relatively low alcohol exhibited by these 2016s,” noted Franz Hirtzberger Senior, thereby calling attention to a feature of 2016 that, unfortunately, might recur with increasing rarity. Going forward, the frequency of growing seasons in which delayed and well-strategized harvests are possible and the grapes are able to benefit from a serious chill is apt to be lower. “In the end,” observed Franz Hirtzberger Junior—and by that he meant despite the hardships of frost and peronospora and the nail-biting by producers worried that their fruit would fail to ripen fully—“2016 was really quite a jolly harvest [eine lustige Lese].” Lovers of Austrian Riesling and Grüner Veltliner are likely to discover that investigating and consuming the resultant wines is lustig as well. 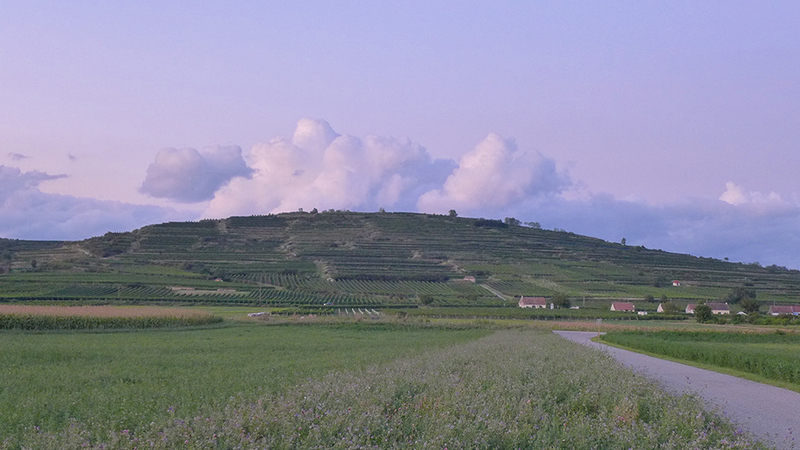 The Gaisberg vineyard spans three communes in Kamptal : Zöbing, Kammern and Strass. So under new legislation it will officially count as three different Rieden. Matthias Hirtzberger will soon have new facilities for his four year old Hofmeisterei Hirtzberger, farming unjustly little-known Wösendorf vineyards astride the Ritzlingbach, which Wachauer like to imagine gave Riesling its name. Given Riesling’s penchant for retaining acidity and benefiting from long hang time, one might have speculated that it would be at some advantage in 2016 vis-à-vis Grüner Veltliner. But in fact this is not a vintage in which either variety seems notably privileged, although I do have inklings in numerous instances that top Rieslings from 2016 will prove just as long-lived in bottle as their Grüner Veltliner counterparts, something that is not generally the case. Within individual collections, though, one or the other variety sometimes steals the show—another phenomenon that reflects the significance of local weather patterns and grower strategies. That in this vintage Grüner Veltliner could sometimes be mistaken for Riesling, and vice-versa, results to some extent from the virtues most prominent in the best 2016s, namely polish and textural allure but at the same time clarity, animation and brightness. The fact that many wines are understated—featuring lots of floral, herbal and mineral nuances—as well as the fact that scarcely any flirt with overripe flavors and most are alcoholically modest further contribute to a frequent blurring of dividing lines between Riesling and Grüner Veltliner. 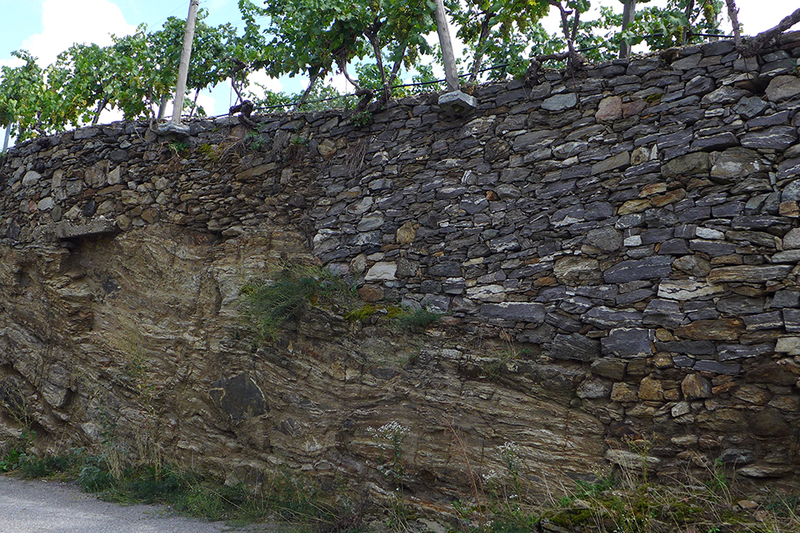 It takes decades for vine roots to penetrate the layers of gneiss and amphibolite that underlie the Wachau's justly famed Achleiten vineyard, whose hundreds of ancient stone terraces enable viticulture that is in more than one sense "on the margins." Readers should consult the extended introduction to Part One of my vintage 2016 coverage—which incorporated notes on wines from the Kremstal, Traisental, Wagram and Wien—for a more detailed account of the growing season and the general characteristics of the wines. That introduction also included background on the tastings that informed my notes as well as some tedious but, regrettably, important details concerning the conventions that govern Austrian wine nomenclature both officially and at Vinous, as well as the ways in which these will be affected by some significant ongoing alternations of Austrian wine law. Thanks to largely clear, chilly conditions 2016 featured a return to the Wachau's traditional long hang-times. Harvest in the Singerriedel lasted throughout November. I should note that I have elected to commence my coverage of vintage 2017 in Riesling and Grüner Veltliner-dominated Austria with a report that will be dedicated exclusively to growers in the vast arc of that country’s so-called Weinviertel (“Wine Quarter”) and to incorporate into that report my extensive notes on Weinviertel wines of vintage 2016 as well. 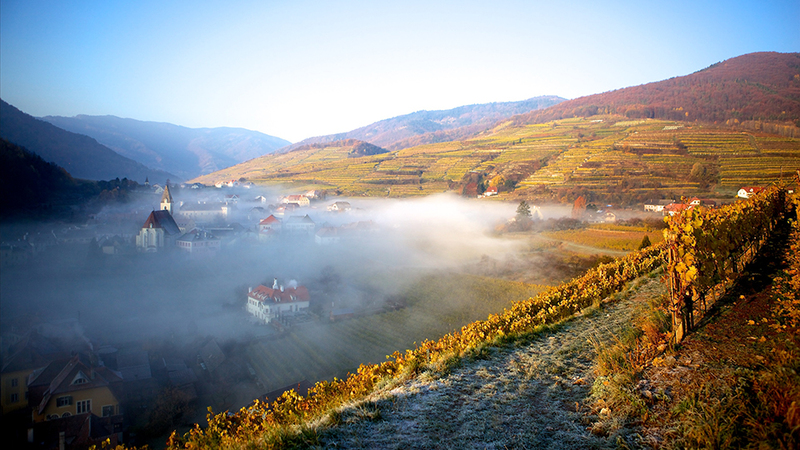 This is a region that traditionally gets short-changed in coverage of Austrian wine—both in the local market and abroad—yet it is also one in which some of the country’s most promising talents are being nurtured and most exciting developments taking place. By dedicating an extensive report to an important wine region that is still terra incognita for most enophiles, I’m hoping that readers will come away with a clearer picture of the Weinviertel’s geographical, climatic and wine-style scope, as well as with appetites whetted to explore wines that, not coincidentally, offer a disproportionately large percentage of Austria’s greatest vinous values.